Hope's Cafe: Ramblers Way Wool Camisole Review! A few weeks ago I found a really neat company. It's called Ramblers Way Farm, and they are a family business that creates soft, comfortable worsted wool apparel. All on American soil, too! "Thank you for visiting Ramblers Way Farm. Our story begins with our family, and a passion for creating superior products for a sustainable lifestyle. In 1970, we founded Tom's of Maine as one of the first makers of natural personal care products. After nearly 40 years of experience in building Tom's into a leading eco-friendly company, we have learned a lot about how a business can be a positive force for its consumers, workers, communities, and the planet. We started Ramblers Way with a desire to re-imagine wool as a next-to-skin, superfine fabric, to warm and comfort people of all ages and walks of life. Just as importantly, we sought to create a company and products that exemplify the values and beliefs which we hold dear. We create superfine worsted wool garments, while maintaining high standards of ecological responsibility, community involvement, and customer satisfaction. We've created a company that pays homage to America's rich history as a textile producer, while breathing new life into the domestic wool industry, through our collaboration with farmers and producers around the country. We grow Rambouillet wool on our own sheep farms in Maine and on ranches in Colorado, Montana, Nevada, South Dakota, Texas, and Utah who partner with us to meet our customer standards for superfine softness and sustainable farming practices. We design, create, and manufacture next-to-skin worsted wool garments in our partners’ factories in the Carolinas and New England, by people whose families have been operating for generations. They share our high standards for quality and sustainability. We live our values at work: creativity in what we do; continuous improvement; promoting sustainability, well-being, and enjoyment by bringing together our individual talents towards a common goal of customer satisfaction. " 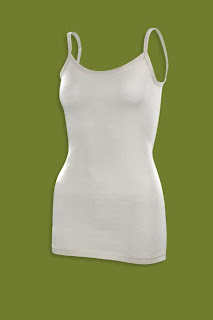 "This fashionable camisole is an extraordinary all-purpose garment, which can be worn as a soothing baselayer during the day, for almost any activity, or to count sheep at night. The natural fiber wicks away moisture, keeping this camisole feeling like it’s just come out of the dryer. You’ll want to wear it every day, and that’s ok! Ramblers Way wool naturally repels odors, and you can easily go days without having to wash your camisole. And when it does need a rinse, rest comfortably knowing our wool is fully machine-washable, through an all-natural enzyme to resist shrinking and keep its shape." 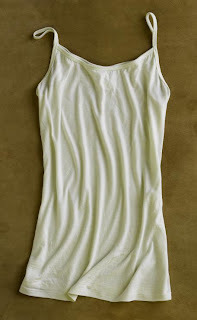 I love my new camisole! It has had a lot of wear since I got it, and will get a lot more! I thoroughly enjoyed my experience with Ramblers Way Farms! Check out their other great wool apparel options...you won't be disappointed!